Subscription to this product requires a minimum 12 month agreement. 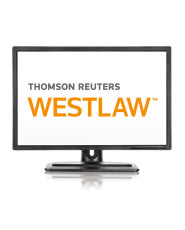 If you access content outside of your subscription plan, you will incur additional Westlaw Charges ("Excluded Charges") and subscribers agree to be bound by Schedule A which governs these charges. This subscription contains the resources needed to practice in the area of government contracts, including recognized practice guides with tables of contents and government contracts content from American Law Reports®, American Jurisprudence 2d®, and Corpus Juris Secundum®. It includes FormFinder, a tool you can use to search Westlaw® for forms, checklists, and clauses related to government contracts. In addition, it provides access to such renowned industry newsletters as Nash and Cibinic, Government Contractor, and Briefing Papers and includes one admission to the West Government Contracts Year-in-Review Conference, a valuable resource for those working in the area of government contracts.